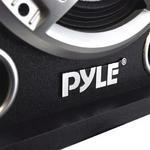 Get the party started with Pyle’s Disco Jam Bluetooth Speaker Systems. 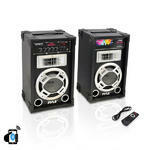 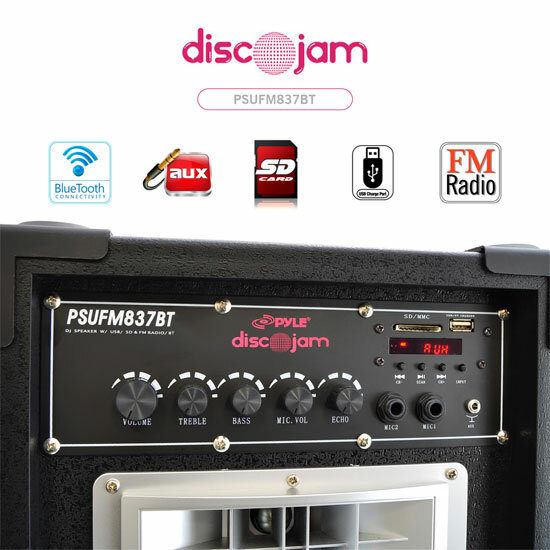 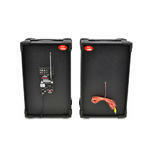 The PSUFM837BT allows you to play your favorite tracks as loud as you want and with style. Disco Jam speakers feature Bluetooth wireless music streaming and impressive high-power output that will add life to any occasion. 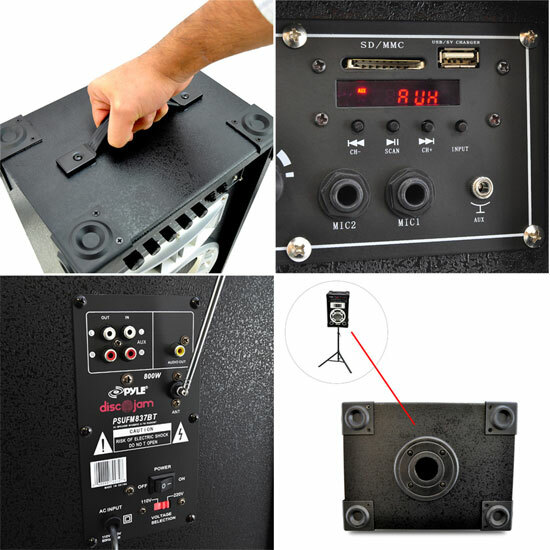 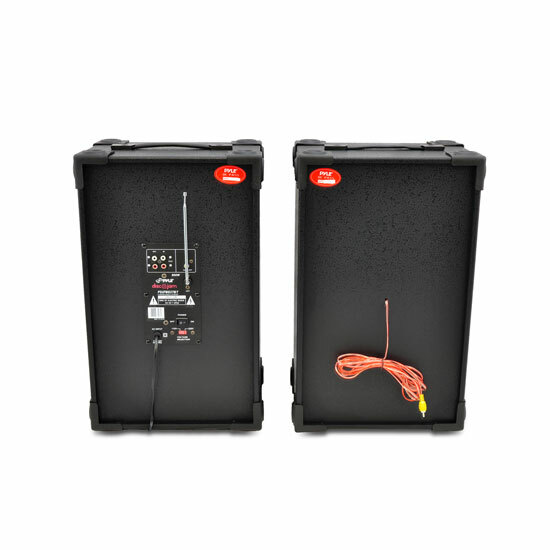 This System allows cross compatibility so you can use the speakers individually or connect them to your current audio setup adding active and passive speakers. 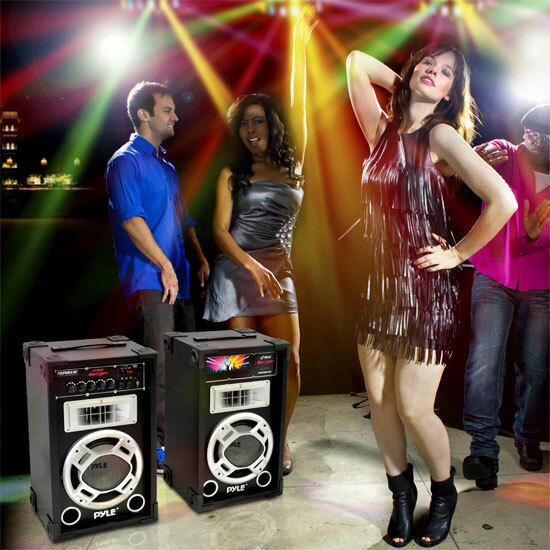 It's perfect for Karaoke parties and performances; use the microphone inputs to create an awesome sounding party and sing while you listen to music. 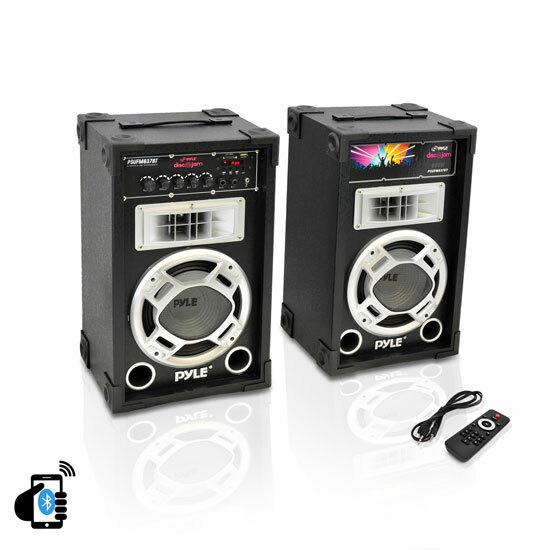 Unit comes with (2) 1/4" microphone inputs, USB flash and SD memory card reader, 3.5mm AUX input and plenty more to get the party going.